Clean water is our top priority. Since 1987, American Environmental, Inc. has served Central Virginia's Residential, Commercial, and Industrial water treatment needs. AEI provides water quality analysis, system design, installation, service and maintenance of residential, commercial, and industrial water treatment equipment. American Environmental was incorporated in 1988, and has held the same Virginia Contractor's License #2705 013585 since that date. We are fully insured, and all our employees are covered by Workmen's Compensation Insurance while on your job site. We maintain SWAM, EVA, and ORCA Certifications for Federal and State Agency procurement. Our Staff is trained and experienced in the installation, maintenance, and troubleshooting of all major brands of water treatment equipment regardless of age or condition. Call today and put our experience, hard work, and integrity towards solving your water treatment needs. For almost three decades, AEI's team of professionals has installed and maintained water treatment systems across Central Virginia, providing thousands of happy customers with fresh, clean water. All water systems require periodic upkeep. 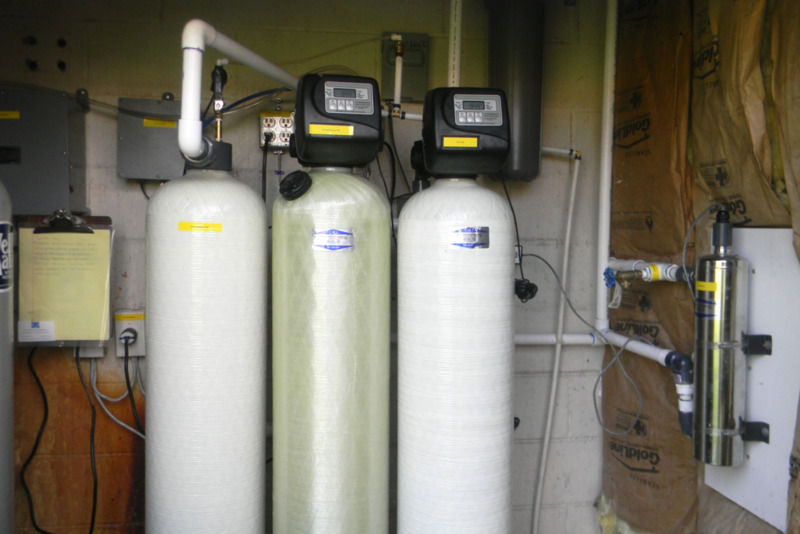 Whether AEI performed your installation or not, we service most makes and models of water treatment systems on-site. Contact us to schedule maintenance or an estimate. Clean water in the home is one of the most basic needs. Fresh, clean water is not only a necessity for drinking, but it also improves cleanliness, appearance, and lifespan of household goods and appliances. Providing a sparkling experience to your customers is your top priority. Don't let dirty, odorous water or tarnished appliances taint your appearance. Manufacturing and industrial water systems are critical to the output of your business. Their cleanliness is directly related to your bottom line, and failure or improper maintenance can be killer. "The systems you installed have been trouble free and have performed beyond my expectations. The quality of our water couldn't be better; immediately I could taste the difference in the coffee and tea prepared with it, as could our friends. We have received many compliments over the years from guests dining with us." "I must admit that my thoughts at the time of sales presentation was that you were exaggerating the proposed results. Experience has proven you to be quite accurate in what you told us to expect....... It is a pleasure to take a shower and have plenty of suds without rubbing constantly with a bar of soap." "As a recently retired engineer, dealing every day with failed and damaged major equipment in power plants,.......I should have responded years ago to my home water system problems.....The cost reduction expected over the next couple of years will more than offset the cost of repair/replacement of supply pipe, etc...My final comment regards the very professional workmanship in the installation....The layout is first class, pleasing to the eye and performs in every way as advertised. How satisfying it is in this day of substandard material and workmanship everywhere we turn, to have such a high quality installation from start to finish." "I know that you did a thorough inspection of my water; and that your analysis was both honest and accurate. I appreciate that, as well as the fact that there was no 'hard sell' to get me to buy....Everyone that I have had contact with within your company has been knowledgable, courteous, and prompt. You did exactly what you promised you could do, and did it when you said you would." "I realize that you came into the situation under very difficult circumstances. At that time, my well water was being treated by another area company. After two months of steadily worsening water, I took the advice of a friend and called your firm....the pride you took in your work was what really impressed me. In this day and age, it is rare to find people who fully stand behind their products and service."